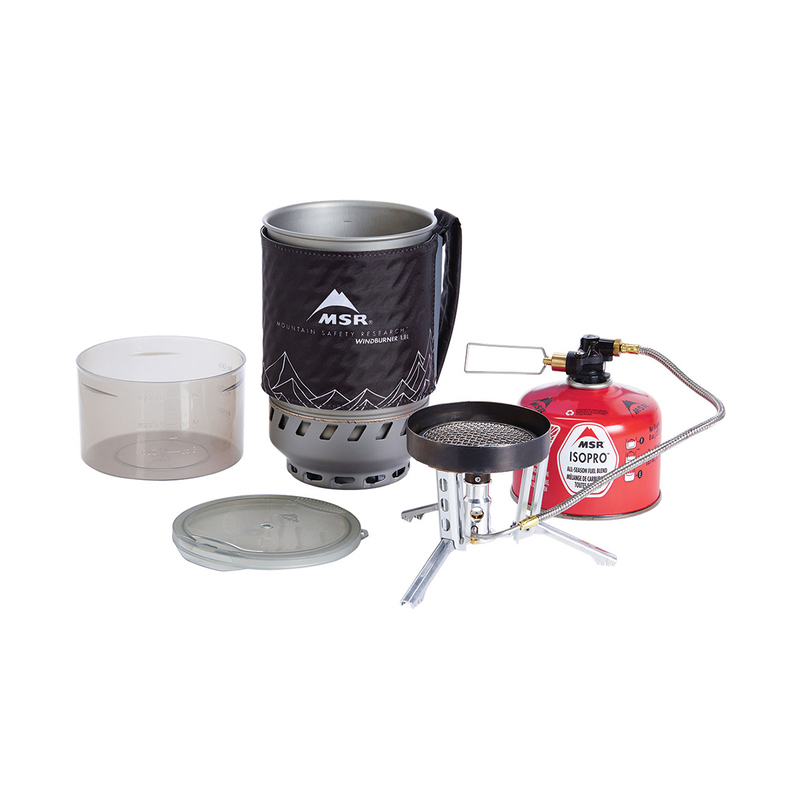 The MSR Windburner Duo System is like the Personal Stove System but comes with a bigger 1.8-litre pot for making larger meals and hot drinks for two people. Like its smaller brother, the Windburner Duo System features Reactor technology, an enclosed, windproof design that won't go out or slow down cooking in windy conditions, and a built-in heat exchanger so hot meals get hot and warm drinks get warm quicker. Plus, everything nests inside the pot to save you space. • Ultra-Efficient: Windproof radiant burner and pressure regulator maintain stove performance in windy and cold conditions; faster boil times & more fuel efficiency than conventional stoves. • Compact Nesting: System perfectly nests all components; fast-boil 1.8 L pot serves 2 people. • Modular: Stove is optimised for all WindBurner cookware and a range of cooking styles. • Stable: Anti-topple stove features a remote canister design and centring pot. I've only used the stove a couple of times in good conditions and it works very well. I did a lot of research and this was the perfect system for two long distance hikers trekking in cold, snow conditions where a lot of hot water is needed quickly. In addition, the windburner system works well well for professional Guides where we have to feed a group of eight guests using two MSR windburners; one for hot water using the 1.8 litre pot and a separate 4.5 litre stockpot for large amounts of rice or pasta. So very happy but will review when we return from our Arctic expedition in mid February 2019.